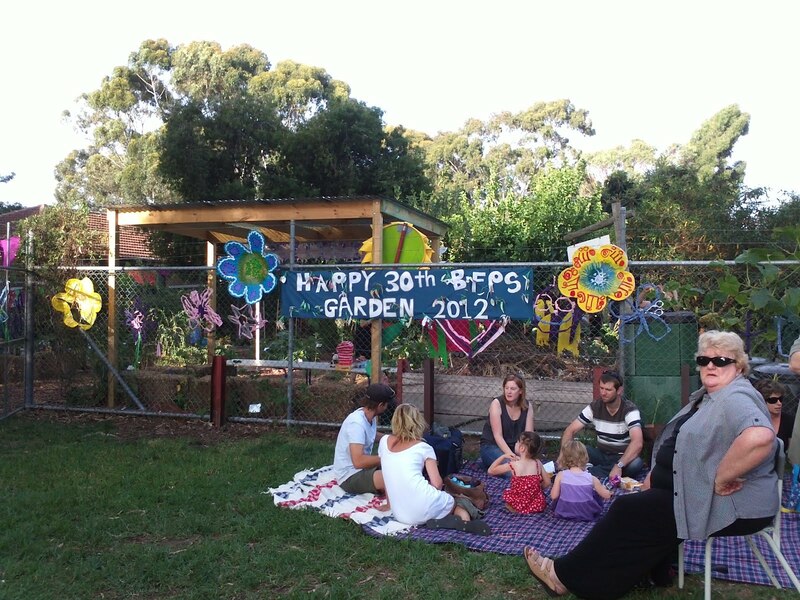 What a great event;celebrating 30 years since the foundation of the vegetable gardens at Black Forest Primary School. 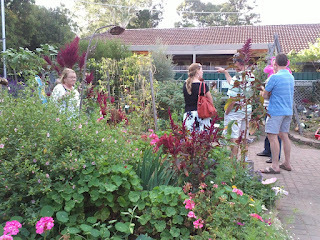 I met the founder of the gardens, Muriel Norton and got to talk to some other interesting people as well. Well done to all. Parks Alive- What's on in Goodwood South? 10am-4pm -Millswood Bowling Club;What We Can Offer? I'll be out trying to get some good photographs. Encouraging residents and business to support this important environmental event: attached. Media release has also been forward to the Unley business community. Lighting will be turned off - security and safety lighting will remain on. No hirers in the centre and all lights are off except for the sensor light in the front of the building. No hirers in the house on Saturday night and all lights will be off in the house at 8.30. There is a quiz night in the main hall and they will require lighting, however we will ensure the rest of the centre observes earth hour. Not participating due to the safety and security risk of hirers accessing the Centre on that evening. No hirers in the centre and all lights will be off except for sensor lights. Lights (excluding security) will be turned off. Security floods will be turned off but all other lighting will remain on as they light the external paths (It was deemed a few years ago unsafe to turn these lights off). All lights will be switched off before 8.30pm. I'm not going. Because the first motion about changing Proclamation Day to First Settlers Day was so flawed and because the person wishing to change it did not get the new Motion on Notice in by the deadline ( to be discussed at last Monday's meeting), we are to have another meeting tonight (the third this week). If only the Motion was to rescind and see the end of the first motion I would have made it convenient to attend. But no, the motion is to change Proclamation Day to South Australia Day. While this might be a better name the reaction in the press list time was extraordinary and none of it good. It is my understanding that there will not be a quorum and the meeting will not proceed. I will attend the Clarence Park Community Centre board meeting as previously planned. Now we're supposed to debate it next Monday at 6.45pm. The City of Unley will again participate in the comparative performance survey. The surveys will be conducted over the next 3 months by Roy Morgan Research. This will be conducted by telephone. 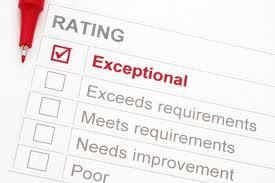 If you are selected then the more information you can give the better informed Council will be about it's performance. Grant Funding 2012; So far this year nearly $3 million have been achieved in grants. These are used to offset Council costs. At our monthly ward meeting last week the matter of the William St footpaths was raised once again. It is my personal belief that it would be hard to find worst footpaths anywhere in Unley. At the current time the footpaths are scheduled for paving in 2015/16 from 2018/19 at a cost of $120,000. The problem with getting this footpath up the list is that one of the components looked at is the perceived amount of foot traffic. This means that footpaths nearer pedestrian traffic generators get preference over those that are not. Staff have agreed to an independent reassessment of the footpath condition. I will report back with the outcome of the review. Please take the time next Sunday to participate in Neighbour Day by saying “hello” to your neighbour on Sunday, 25 March. It is important in building a community spirit that people know the people that live nearby , in their street and neighbourhood. As I talk to people some streets seem to have residents who have enormous goodwill toward each other which is fantastic. This goodwill often extends to looking after each other, feeding the dog or even picking up the kids from school. Don and I will organise a ward forum in May at Clarence Park Community Centre , this will be an opportunity to share ideas with us and your neighbours. We will add this to our blogs and put the date in the next Newsletter as well. (Neighbour Day was established in 2003 in response to press coverage of the death of an elderly woman in her home that went unnoticed for two years. It has been promoted by its founder, Andrew Heslop, ever since with a simple aim to encourage everyone to have better relationships with the people next door and across the street). 1. 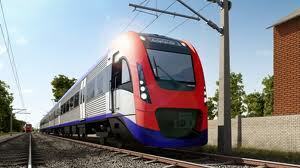 A letter be sent to the Minister for Transport and Infrastructure and the Minister for Transport Services with copies to local Members of Parliament (state) expressing concern at the lack of information and options provided to the community regarding the closure of the Tonsley Line train service. 2. 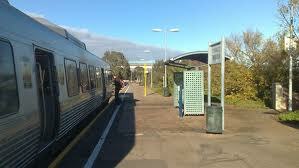 The Ministers give consideration to adding extra carriages on the Noarlunga line to cope with the extra number of people now forced to use this alternate service. 3. The Ministers continue to keep both the City of Unley and affected residents aware of any further changes that are likely to occur. a belief that near-city residents have more choice in public transport but this is not true – we are by-passed by express services and/or full services (the Tram is often full and does not stop). 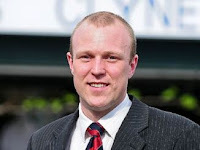 On Friday 16th March Mayor Lachlan Clyne made another brief appearance in the Magistrates Court. This has been set down for further legal argument on the 13th April. It is my understanding that Michael Abbott QC will argue that he doesn't have a case to answer at this time. Mayor Clyne indicated again that he would plead not guilty. It is my opinion that the matter should go to trial sooner rather than later, the longer the matter drags on the more the good name of the Council is associated with this matter. This is always the first question that members of the Community have when they see me at work, shopping or in the neighbourhood; it's hard to answer with a positive swing. Lachlan is charged with dishonestly dealing with documents and improper use of another identity, arising out of 2010’s local government election campaign. The maximum gaol term if convicted is 10 years. From time to time many of you have requested that it would be nice if you new when the street sweeper was coming. If you knew you wouldn't have parked your car out the front of your house and you may have had an opportunity to sweep leaves from the footpath into the gutter knowing they would be removed the next day,assuming rain was not forecast. Unley is about to trial a project where this could happen via sms, facebook or twitter. I have already forwarded the names of people who have let me know they would like to be in the trial. If there is anyone else who wants to be involved please let me know and I will forward your details to the officer who is working on this project. Streets are now swept at least once a month which is the highest service standard in the entire metropolitan area. 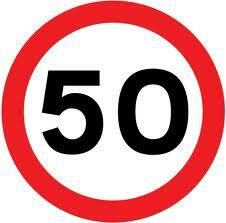 Last Wednesday the Unley Road Safety Committee debated the reduction of speed on King William Rd. The staff recommended approval even though the vast majority of respondents to the public consultation were against the proposal (2:1). 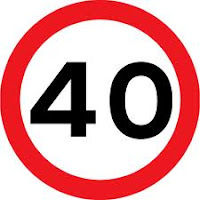 Cr Saies (who is not a member of the committee and was allowed to speak but not vote (usual practice) referred to accident statistics over the last 10 years that show no pedestrian accidents had speed named by police as a contributing factor. Much of the debate was the centred on amenity and anecdotal evidence. The Committee recommended approval. This is likely to be debated again at Full Council. Even if approved at that meeting DPTI still need to give the final go ahead. Take some time to enjoy our parks during this festival. Along with community events, a roving program of professional musicians, dancers, entertainers and informal games will tour the Unley open space network and surprise our local community as they burst into song, take up the guitar, dance the salsa or pull of a trick! On Sun 1 April Council are encouraging people to come and see all our performers at Memorial Gardens, Unley Road in a program starting from 12pm along with a free sausage sizzle from Rotary Club of Unley. For a full list of events in the City of Unley, please check out the website closer to the weekend. 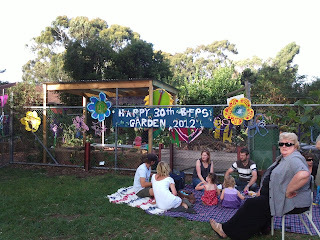 On the 30th March BFPS is celebrating the 30th birthday of their school vegetable gardens. 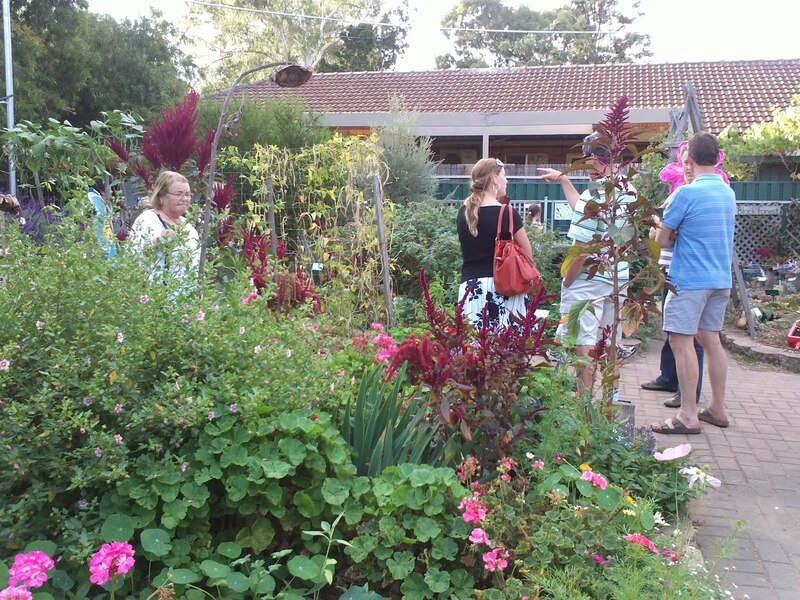 If you have never had an opportunity to see these gardens they will be open from 5pm to 8pm. 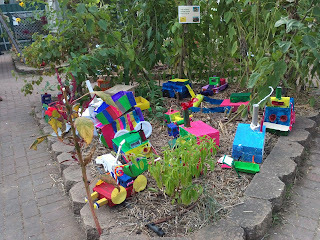 This garden was very innovative when first developed and still wins prizes today for it's educational value. Food waste and other organic material makes up around half of what is placed in the blue waste bins. By putting food waste into your green organics bin (along with garden waste) it will be collected and commercially processed into nutrient-rich compost. Our waste is transformed into a valuable resource that is sold to farmers and gardeners all over Australia. Your green organics bin can still be used for your garden waste, i.e. lawn clippings, leaves, pruning’s, cut flowers etc. Even if you have a home garden compost or worm farm you may like to recycle the food scraps that are not suitable for your home compost via the green organics bin; all food scraps including citrus, dairy, meat, bones, shells and even heavily soiled pizza boxes may be placed into the green organics bin. For convenience, food scraps can simply be wrapped in newspaper or paper-towel to prevent spills when placed in the green organics bin. Alternatively, some hardware stores sell ‘compostable’ bags which may be used for food scraps. But please do not use bags labeled ‘biodegradable’ – this is not ‘compostable’ – and never use plastic bags of any type in the green organics bin, this can contaminate the entire truckload. If you are unsure about the compostable bags please contact the Council. Ultimately this will further reduce collected waste that goes to landfill. 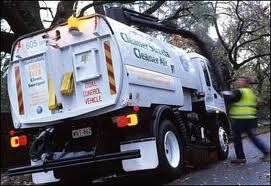 Cost reductions in dumping fees reduce the total costs to Council. For more information on the green organics bin and recycling food waste please contact the Council on 8372 5111. 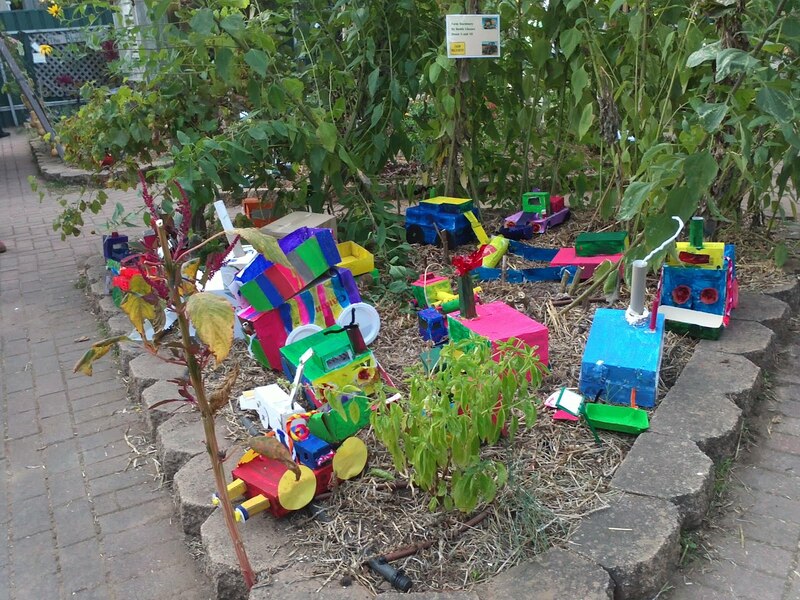 City of Unley Ageing Strategy; This strategy has been in the consultation phase for some time and minor modifications have been made to the policy.This was supported although will still have further minor modifications. Planning Policy Programme; This is an update of the planning amendments; it seems the Ministers desk is getting overloaded as he is yet to move anything across it for Unley at this time. The report was received. Dog Registration Fees; The proposal is for fees to rise to $60 (up $5) per annum with the usual discounts for desexing, micro-chipping, obedience training, concession holders, working dogs and grey hounds. No fee is charged for guide dogs, disability dogs and therapeutic dogs. The fees charged do not cover the cost of collecting the fees and dog management through out the year even with an increase. This report was accepted although members expressed their concerns about being able to recover a greater portion of costs. 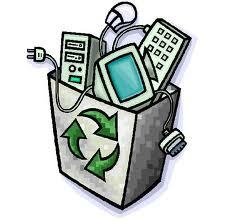 Electronic Waste Review; The report suggests that Council should approve $20,000 t0 be allocated to funding two new services. These services are 50% subsidy for Unley residents at a Local Waste Transfer Station and allowing e-waste to be put out for Hard Waste collection. Members felt this report was inadequate and have requested that staff have another look at other options and bring the report back in April. Hard Rubbish Collection Review; The total number of collections from July 2011 to February 2012 was 2,319, only slightly less than the same time period in the year earlier. However, there were no second pick ups ( as agreed by Council). The waiting times for collection have been reduced from 8 weeks to 6.7 weeks. Never the less some seasons are busier than others and some people have waited 12 weeks for a pick up. Of 511 reported instances of illegal dumping (since May 2010) in 402 cases the property owner has removed the rubbish when directed to do so by Council. This represents a 79% compliance rate. The report was received with no further action but to continue the current level of service. 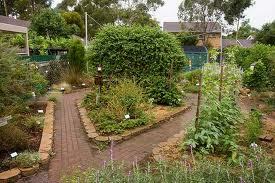 New Community Gardens; The preferred option for the Community Garden is the goody Patch at Goodwood Primary School. While I am disappointed that the site in Millswood was not chosen as a first option I feel it may be better for the redevelopment of the site to be included in the Millswood Lawn masterplan when this is completed.This matter caused much debate although all members were happy with the initial site selected. Orphanage Park Community Land Management Plan; Council are being asked to consider options for the development of a CLMP for Orphanage Park and other parks. This is a pressing necessity for Orphanage Park as there is no clear way documented to move forward on the tree plantings and other minor creek works. This would also allow for the protection of the stone linings if the Minister allows them to be included as a Local Heritage item in the City of Unley Development Plan. This report was refused and no further action suggested for any of the 4 large Parks. Long Term Financial Plan; Council are being ask to approve an operating surplus ratio of 3.5, a Net financial Liabilities Ratio of no more than 80% of the annual rates revenue and an Asset Sustainability ratio equalling 100% over 10 years. This was approved. Development of a New Unley community Plan;Unley is required to develop a new Community Plan this year. Council will be anxious to hear what the community wants in the plan in the near future. This was approved. All of these items must still be ratified at the Full Council Meeting on the 26th March. Yesterday Councillors attended a briefing about this project. Although this was scheduled to be started in 2010 it now seems unlikely that any work will commence on the Unley section until early 2013. The state government has embraced this project in an effort to have a faster, cleaner and greener rail network. Hopefully, this will encourage commuters to use the train network and work toward reducing the congestion on the road network. The project will involve the erection of masts and overhead wires (it is considered too dangerous to electrify the rails), the building of 3 substations (locations undecided), the screening of bridges and overpasses ( to avoid accidental electrocution and items being thrown on the tracks) and the relocation of services (mostly ETSA power lines that cross over the track). The masts will be 8m high and spaced at 50 m intervals and where there is no existing fencing a new chain link fence 1.8m high will be erected. It is possible that all vegetation that overhangs the overhead wires will be trimmed back so that they don't. Trees on state land can be pruned or removed regardless of significance if they wish, trees on Council land require an application to Council if they are significant. I asked very clearly when the consultation with our Community would occur and was not all that happy with the answer. The first answer being that they will talk individually to affected landowners and "sort something out". I made it quite clear that our Community wanted public consultation so that everyone would get the same information at the same time and have the advantage of some degree of collective bargaining. I think we were closer to this by the end of the meeting. If some are happy with website based information, newsletters and the odd open day then so be it. However, I think our Community deserves better. The public meetings held, by demand, before the construction of the tram overpass on South Rd caused many changes to plan including the inclusion of the bikeway. I'll keep you posted. Don and I went to chat with the wonderful people that manage Sasmee Park this afternoon. we shared our afternoon with about 400 parents and children who were there for an afternoon out to enjoy the model trains. The reason for our discussion was to better inform us, as Councillors, how they would like to fit into the Asset Management Plan for the Millswood lawns area. The group provide an interest and hobby for over 150 people, most of whom are men. The park is open on the first Sunday and third Saturday of any month from 2pm to 4.30pm and the whole family can get in for less than $20. The completion of the hooped fence on the southern side of the Goodwood Oval Playground. The removal of the left turn bans off East Ave. The completion of the consultation regarding the pedestrian refuge in East Ave. The likely result of this when it goes to the Road Safety Committee is that they will recommend moving the refuge south to be opposite the Church. DPTI objected to the proposal as it was too close to a bus stop and there was some strong opposition from the houses and people most affected. There was also strong support for a refuge at or near this location. Further consultation on the new location will follow. I have also spent some time working with staff on ensuring that adequate disabled parking bays are available during the Fullarton park monthly market. At the current time the existing parks are used for market stalls and there is no vehicle access into the market. Parks Alive! 2012 Grants :Local community and resident groups are encouraged to hold picnics, BBQs, parties, games and other activities in local parks on the weekend of Saturday, 31st March and Sunday 1st April to celebrate Parks Alive! 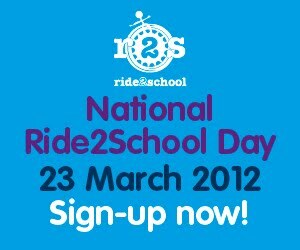 Ride-2-School Day: Ride2School Day is on Friday 23rd March 2012 when parents and teachers are encouraged to leave the car at home and get students riding, walking, skating or scootering to school. NRMA Motoring & Services, ACCC, CHOICE, Enable NSW and Vision Australia have banded together to launch a national survey to help understand how and why Australians are using mobility scooters. Interested members of the community are invited to take part in the survey. The survey closes 5 April 2012 and is available from the NRMA website at www.mynrma.com.au/scooters and the Product Safety Australia website at www.productsafety.gov.au/mobilityscooters. Mailed copies are also available by calling the ACCC’s Infocentre on 1300 302 502.  Consumers ability to search, find and buy is growing. 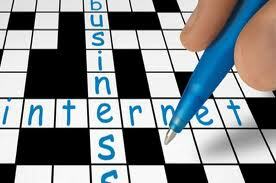  Only 6% of Australian businesses intend to install a web site next year.  50% of business who offered coupons got return business. So what are the key issues traders face today? Retail is not just about foot traffic in store anymore. It’s about a whole new business model. Position! Position! Is not necessarily number one anymore as traders have the potential to buy in one country and sell in another.